Patrick is a medical student passionate about global health, health equity, and health policy. Alongside his Bachelor of Medicine/Surgery (Hons) he is currently undertaking a Bachelor of Medical Science (Hons) research degree with the Centre for International Child Health and the Murdoch Children's Research Institute. His research project is looking at oxygen delivery to preterm infants in a low-resource setting, with data collection to occur in south-west Nigeria. 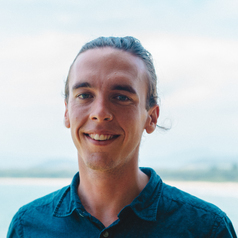 Patrick is also the Editor in Chief of the Doctus Project, a non-profit health journalism organisation dedicated to uncovering the breadth and complexity of health, and is Global Health Policy Officer for the Australian Medical Students' Association. In May 2017 he will attend the World Health Assembly in Geneva, representing the International Federation of Medical Students' Associations (IFMSA).